Two members of the Church are chasing gold medal dreams in the 2018 Pyeongchang Games. Chris Fogt, a 35-year-old returned missionary from the American Falls 3rd Ward, American Falls Idaho Stake, is part of USA’s bobsled team, which competes later this week. 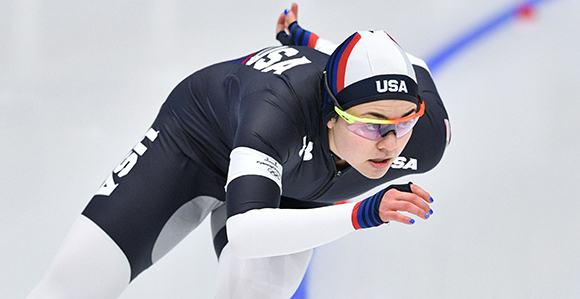 Jerica Tandiman, a 23-year-old member of the West Jordan 27th Ward, West Jordan Utah Stake, competed in speed skating for Team USA. Fogt won a bronze medal in the 2014 Sochi Games and finished 22nd in the 2010 Vancouver Games. This time Fogt will hold the position of brakeman in the four-man bobsled event. To read the full post on LDS.org, click here.